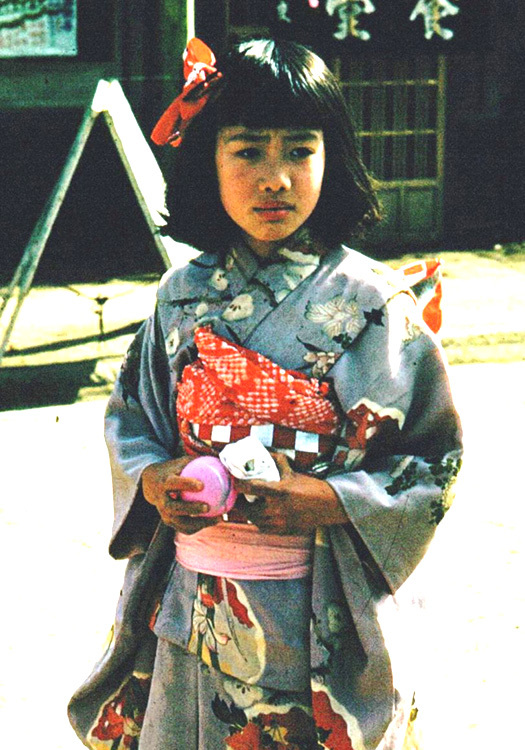 My name is David Armstrong and I am searching for Yuki, the little girl shown here in Wakkanai, Hokkaido, Japan in 1954. If you live in Wakkanai, or lived there in the past, you may already be familiar with Yuki's story. You may be able to help. I was stationed with the Air Force in Northern Japan from 1954 to 1957. When we first arrived, four of us Americans hired a bright, young Japanese man, a high school teacher, to come each evening we were free and teach us Japanese. We became part of the community. It was not uncommon in those years for US servicemen to help teach English, or assist local coaches in school sports, or to help older people carry their burdens, or to become involved in civic activities. It all made our time go by better and faster. As Charles Dickens said, "It was the best of times, it was the worst of times." During my first year there, while walking along the shoreline of Wakkanai one day, I saw a Japanese family wading in the ocean water in front of their house, harvesting nori seaweed from among the rocks. For no apparent reason that I could determine, the father brutally slapped one of the little children whom I assumed to be his daughter. Having been raised never to hit women or children, I was left with no choice but to get in his face and tell him, in Japanese, if I ever again saw or heard that he had hit her, he would answer to me. His response was that he had a right to hit her as much as he wanted because he had bought her from her farming-family parents. But, since I was substantially bigger than he was, he agreed to desist. The incident disturbed me and, since I was dating the daughter of the mayor of Wakkanai at that time, I discussed the matter with him. The mayor was noticeably upset, probably because MacArthur's law specifically prohibited buying or owning slaves as was common in Japan until the end of the war. When I offered to give the seaweed farmer what he had paid for the girl, he summoned a local lawyer. They both donated their services, and a few of my Air Force friends pitched in some money to help. I honestly believe the mayor also contributed some of his own money. Yuki was eventually released into my custody as a free little girl. Although I was only making about $90/month as an A2C, I rented a room for her in one of the "apartment buildings" across from the detachment's main gate where many GI girlfriends lived. A number of these girls watched out for her, made sure she ate the food I provided her, got her off to school with a typical rice lunch, and made sure she was dressed warmly each day. My friends and family back in the US would send clothing and personal items for her. The kimono that Yuki-chan is wearing in the picture above was cut down and re-tailored from one that had belonged to the girlfriend of a fellow Airman. It was her very own - her first - "festival" kimono. In the meantime, I looked for a Japanese family I could pay to take her in as one of their own. Fortunately, I found a nice young family who owned a small grocery store in downtown Wakkanai. They were struggling financially, so I asked to purchase half interest in their business. The price was quite reasonable, so I had the lawyer arrange the deal in Yuki's name. 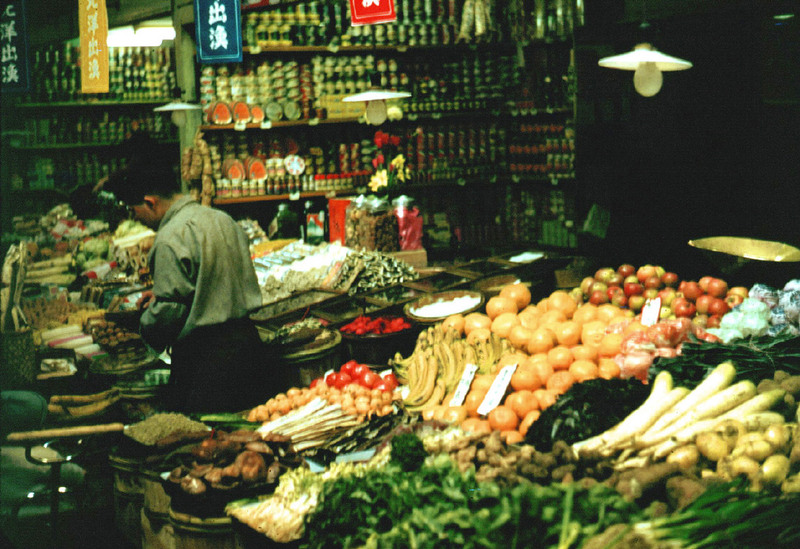 Word spread rapidly throughout the AF detachment, and many of the USAFSS and AC&W personnel and their girlfriends began patronizing that grocery store - even if it was just a single orange per trip. The store's family, and Yuki, prospered to the point that they purchased a second and a third grocery store. Through the years, my little Yuki-chan studied hard and excelled in her studies, became fluent in English, spoken with consonant endings on her words and pronouns used correctly. She most certainly did more than her share of working in and managing the grocery stores, and grew into a beautiful young woman. We corresponded after I left Japan and, years later, my wife and I were living in Oklahoma City where I practiced Architecture full-time while working towards my doctorate in Architectural Engineering at the University of Oklahoma. It was during this time, I received a very special letter from Yuki, asking my permission for her to marry. Unfortunately, there was just no way we could afford to attend, but we sent as much as we possibly could as a wedding present. Then, disaster struck: when we moved sometime later, we somehow lost Yuki's last name, her address and all contact information. I sincerely hope someone out there can help me re-establish contact with Yuki-chan, who is no doubt a grandmother by now. Perhaps someone who lived in Wakkanai will recognize her childhood face, or recognize the grocery store, or know about Yuki's childhood story. Maybe someone knows what has become of Yuki or knows where she lives. Or possibly, someone out there has even the smallest piece of information that might help me find Yuki-chan again. If you can help - or even think you might be able to help - please contact me immediately via email at armstrong@v8v.us with any information you may have that could help me locate her. I would be forever grateful.